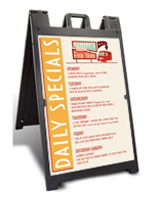 These sandwich signs with A-frame design are made to be durable, portable and reuseable! 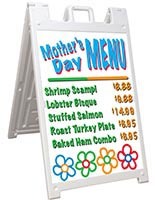 The message boards are made with a double-sided holder for 24" x 36" posters or message boards. 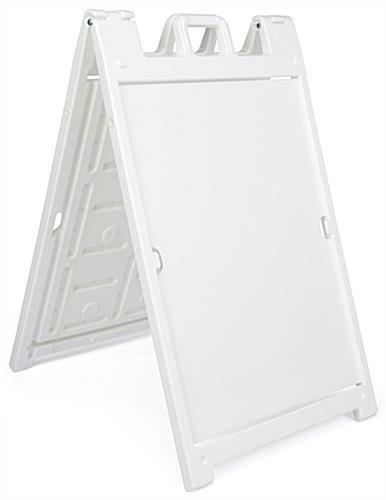 The white signs are crafted from plastic and fold down to make carrying a breeze. 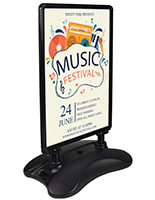 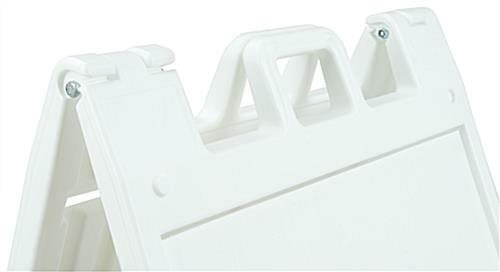 Each advertising accessory has a handle and fill holes that allow you to add water or sand for added stability. 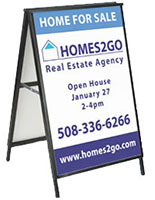 The signs do not have lenses or covers so beware if using in inclement weather. 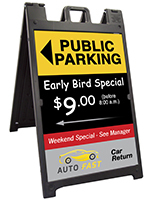 Order the sidewalk sign for your business, office or expo event today! 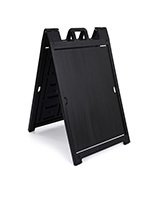 27.0" x 46.4" x 3.1"
We expect to have more in stock in approximately 0 days.